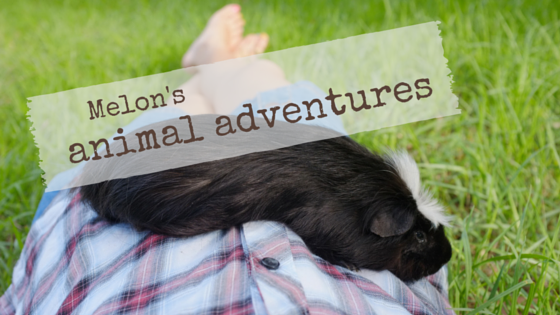 Melon's Animal Adventures: Say what?! This morning Melon was giving me carrots and telling me "Carrots in the morning, broccoli in the evening…"
I knew she had parsley in the fridge, so I gave her a look. And do you know what she said? "Yes Coke, parsley is after your bath." "Your, uh… nevermind. Parsley later, okay?" "Oh Cocoa, it's just a bit of water." Does this look like 'just a bit of water' to you?! Hi Cocoa and Melon, thanks for stopping by my bloggie. My peeps are very busy and they are also quite organized. We also have "dog walkers and caretakers" that come by in the early afternoon to look after me (bathroom, personal stuff) and then take us all for a walk. I'm pretty happy about stuff. But I don't think that baths are very much fun. I hope that you got lots of treats.